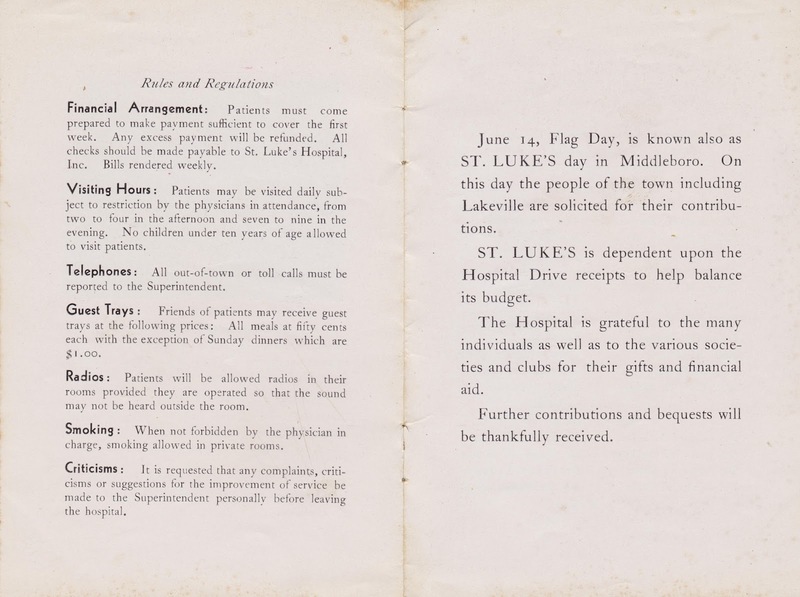 This brochure from St. Luke's Hospital dating from 1932 provides an insight to health care 80 years ago. 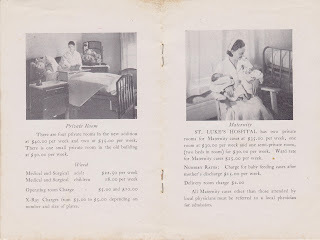 Not only have costs change drastically during the intervening years, but so too has awareness of health matters. 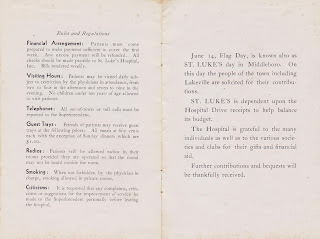 (At the time, smoking by patients and others was permissible in the hospital). 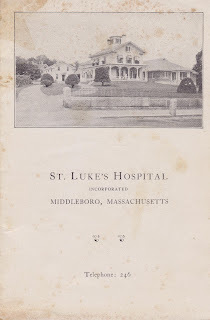 At the time the brochure appeared, the Middleboro Gazette wrote of the hospital: "Middleboro has every facility for taking care of sickness and industrial accidents. 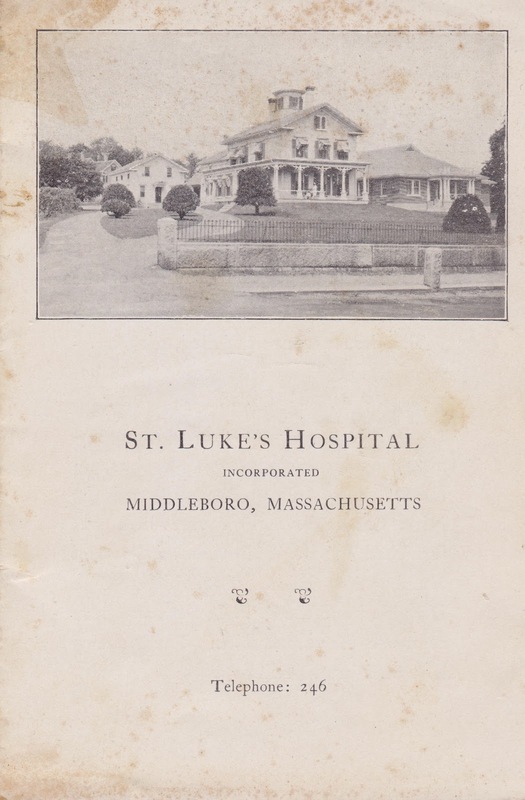 St. Luke's is a notably fine modern hospital, of which Middleboro is justly proud and which visitors will be surprised to find in a town of its size. 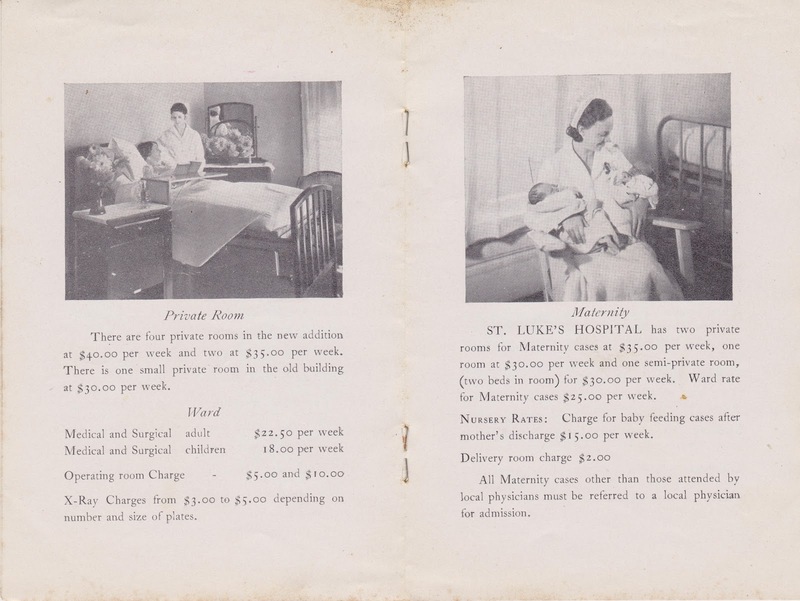 It has 22 beds, a nurses' home, operating room of the finest modern design and equipment; complete, modern maternity ward; the very latest and finest of X-ray equipment; and attractive, quiet building and grounds, representing in all investment and gifts approaching $100,000." 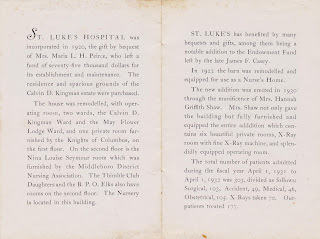 The cover of the brochure depicts from left to right the Kingman Estate barn (remodelled as a nurses' home in 1922), the Kingman House which served served until 1968 when it was demolished to make way for a modern addition, and the 1930 Shaw addition which was demolished in 1970 to accommodate hospital expansion. 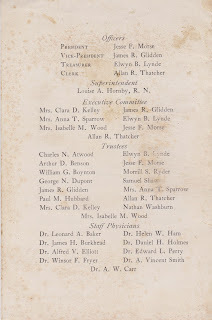 Middleboro Gazette, October 21, 1932. 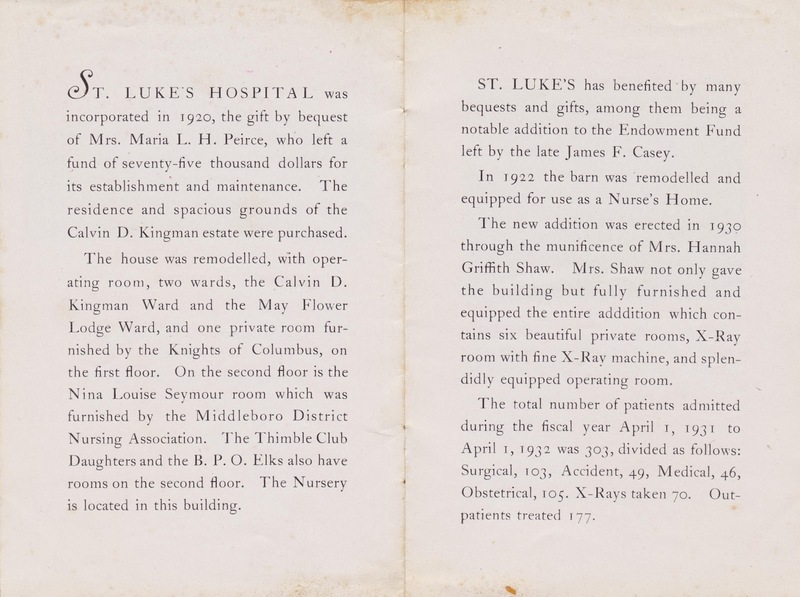 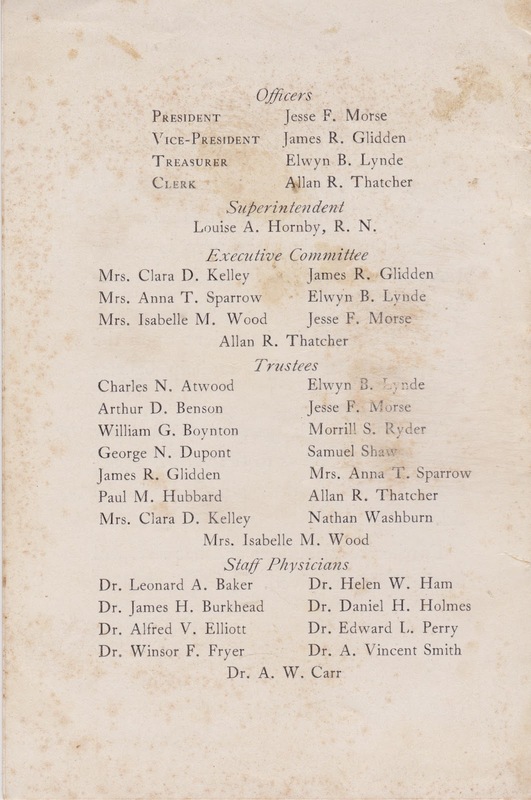 St. Luke's Hospital, brochure, c. 1932.